One of the first things that really got me to thinking about the church as a system was the hypocrisy. For example, my favorite minister (who, many years later married me and my wife) was kicked out of his job and the church because his wife left him for another man. This minister went from being the director of education at the second largest church in the county to a bagger at a local grocery store for something that wasn’t his fault. However, the director of music was having multiple affairs that were all open secrets, but that was OK, because he wasn’t getting divorced. I won’t even get into the whole Catholic priest/pedophilia thing. A couple of things got me to thinking about this. The continuing promotion (self) of rising star (in her own mind) Watson is skepticism circles (Let’s see how this drives page views HA!) is another example. I have seen nothing from her that indicates any degree of skepticism. Further, it appears to me that her efforts are dragging down some other “skeptic” blogs into a circle of self-referencing self-promotion. Another thing that got me to thinking about this was some recent commercials* from various oil companies on how they are researching clean energy (algae, solar, etc). But, I thought to myself, why would they be worried about that if the Republicans were in charge. The hypocrisy here, is that they promote clean energy when they think they need to, but spend big money to get fossil fuel friendly politicians in office. Let me give an example. Exxon Mobile spent just over $1 billion dollars for research in 2011 (F-29) (unfortunately, there’s no way to tell how much went to clean energy research). But they donated $5.7 million to congressional campaigns and spent another $200 million in lobbying efforts. For that, they received almost $7 billion in government contracts, and, even with yearly income of over $1 trillion (yes, a “t”) dollars, they pay no income tax. Not to mention the subsidies. Now, where did all of that campaign money go? Republicans, the very people who claim that global warming isn’t real or if it is real, it’s not caused by man, and if it is caused by man, then screw the planet in favor of political power. BTW: I consider these nebulous sources at best, but there’s little hard evidence floating around. Another interesting thing about this are the ads that criticize clean energy… paid for by oil and gas companies that are investing (at least a little) into clean energy. To me, that’s hypocrisy. Say one thing, but do another. These major companies know that they are directly responsible for global warming. They are doing research and buying cheap start-ups in clean energy… yet they continue to promote the no global warming, clean economy can’t work, and paying for politicians who disagree with established science. There’s one more example and I’m not sure if it’s hypocrisy or just stupidity. That is, the creationists. Even in trials, they keep declaring that they are just following the evidence. Yet, they have no idea what the actual evidence is. I’m referring here to Michael Behe’s famous claim that he hadn’t read those 50 or so books and papers on the “evolution of the immune system”, but it doesn’t matter because he knows that they don’t describe the evolution of the immune system. I find it truly hilarious when arguing with a creationist and they don’t have the foggiest clue about how to calculate molarity (or even what that is), how to actually make a valid probability calculation, or any of a thousand other things that they don’t know. I’ll freely admit that there are a lot of things I’m unsure about or I don’t have sufficient evidence for me to make a claim one way or the other. I ma even change my mind when new evidence comes in. But I try really hard not to be a hypocrite. * My mother has officially moved in and we had to get cable TV again. I’ve been almost two years with only AmazonVideo on Demand and Netflix and I loved it. (11) In fact, on cross-examination, Professor Behe was questioned concerning his 1996 claim that science would never find an evolutionary explanation for the immune system. 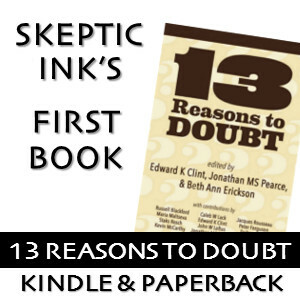 He was presented with fifty eight peer-reviewed publications, nine books, and several immunology textbook chapters about the evolution of the immune system; however, he simply insisted that this was still not sufficient evidence of evolution, and that it was not “good enough.” (23:19 (Behe)). The question is… how did Behe know that they were not sufficient evidence of evolution since he did not read them? Besides, Behe has also stated (in the same trial) that he is demanding an unreasonable level of evidence. He stated the he “demands” a “step-by-step” description of how the immune system evolved. That’s an unreasonable level of evidence by any measure. Behe (and Joe, if you are referring to JoeG) certainly don’t require that same level of evidence for their own chosen notions. Yes it is JoeG. I have just one more and I’m done because I’m not even familiar with the issue. Several points: 1) Although the opinion’s phrasing makes it seem to come from my mouth, the remark about the studies being “not good enough” was the cross-examining attorney’s, not mine. 3) The Court here speaks of “evidence for evolution”. Throughout the trial I carefully distinguished between the various meanings of the word “evolution”, and I made it abundantly clear that I was challenging Darwin’s proposed mechanism of random mutation coupled to natural selection. Unfortunately, the Court here, as in many other places in its opinion, ignores the distinction between evolution and Darwinism. I said in my testimony that the studies may have been fine as far as they went, but that they certainly did not present detailed, rigorous explanations for the evolution of the immune system by random mutation and natural selection — if they had, that knowledge would be reflected in more recent studies that I had had a chance to read (see below). 4) This is the most blatant example of the Court’s simply accepting the Plaintiffs’ say-so on the state of the science and disregarding the opinions of the defendants’ experts. I strongly suspect the Court did not itself read the “fifty eight peer-reviewed publications, nine books, and several immunology textbook chapters about the evolution of the immune system” and determine from its own expertise that they demonstrated Darwinian claims. How can the Court declare that a stack of publications shows anything at all if the defense expert disputes it and the Court has not itself read and understood them? In my own direct testimony I went through the papers referenced by Professor Miller in his testimony and showed they didn’t even contain the phrase “random mutation”; that is, they assumed Darwinian evolution by random mutation and natural selection was true — they did not even try to demonstrate it. I further showed in particular that several very recent immunology papers cited by Miller were highly speculative, in other words, that there is no current rigorous Darwinian explanation for the immune system. The Court does not mention this testimony.